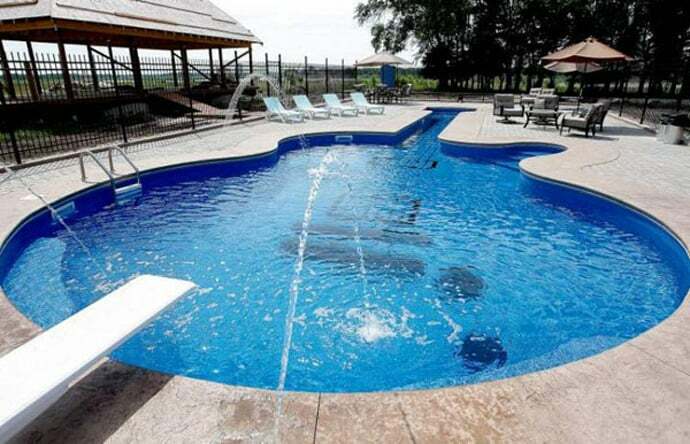 Built of such materials as metal, plastic, fiberglass or concrete above or in the ground, swimming pools are built in a range of sizes and shapes. 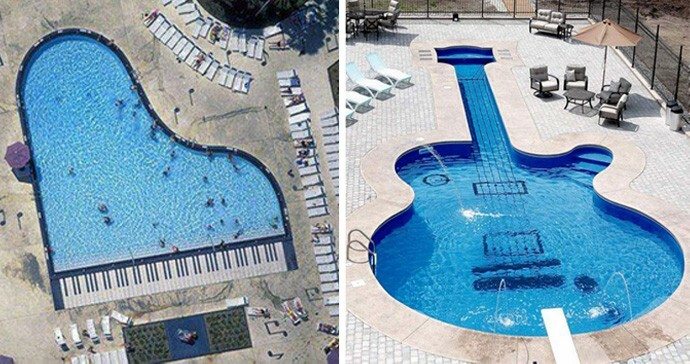 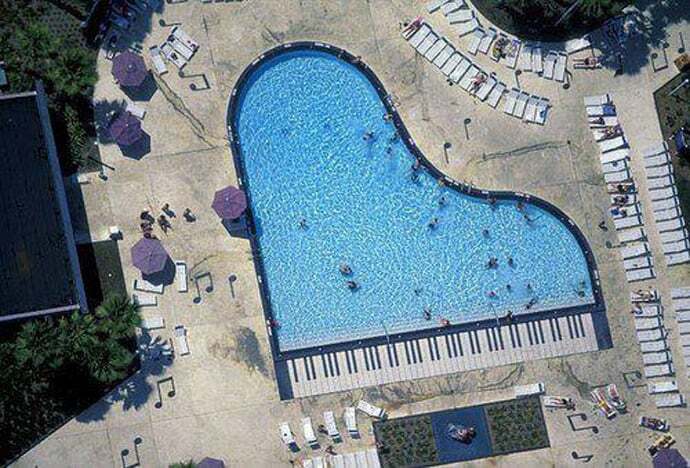 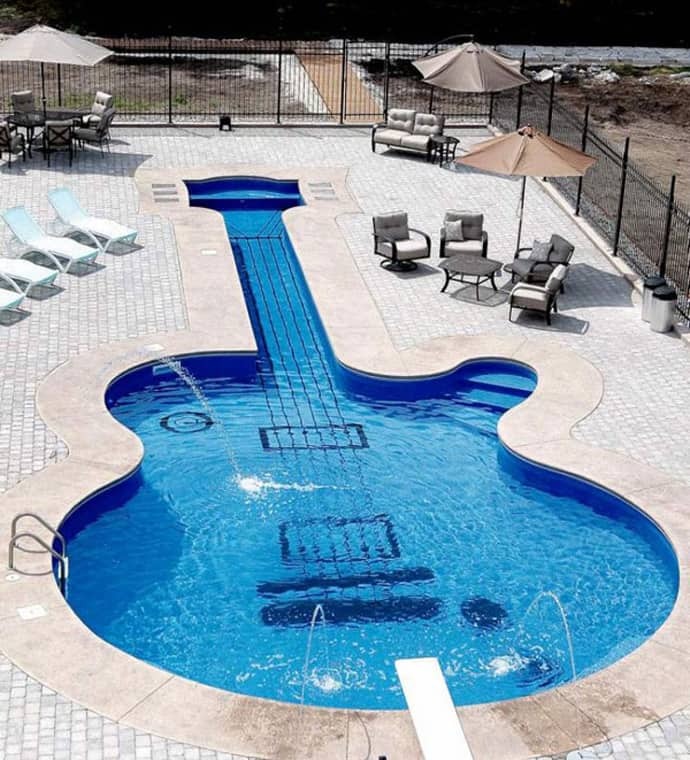 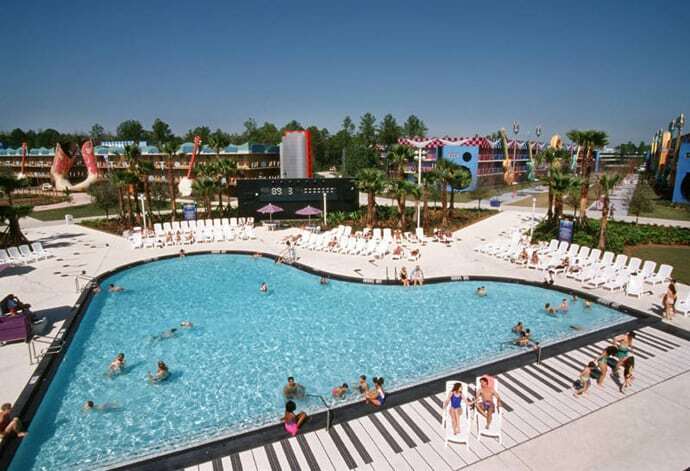 These amazing swimming pools shaped like a guitar or a piano proved to be a challenge for them designers and builder. 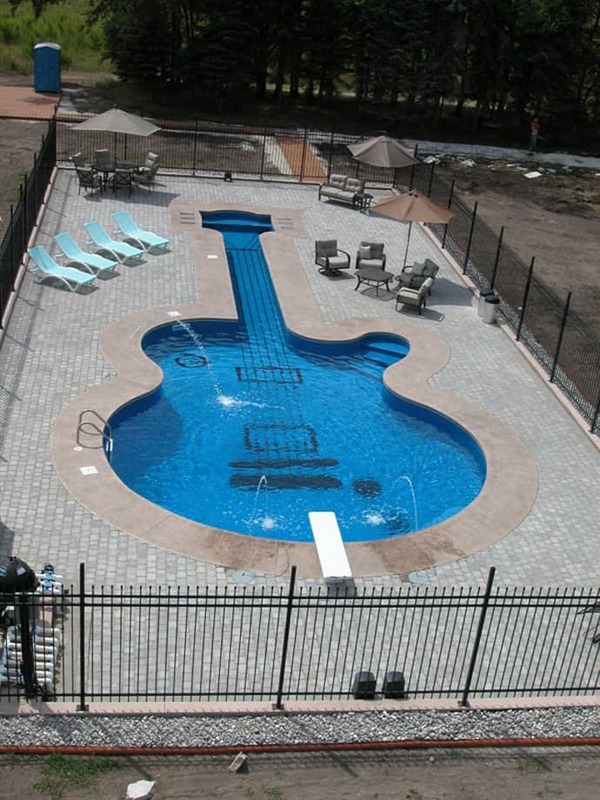 If you are passionate about music these shaped swimming pool are perfect for your backyard. 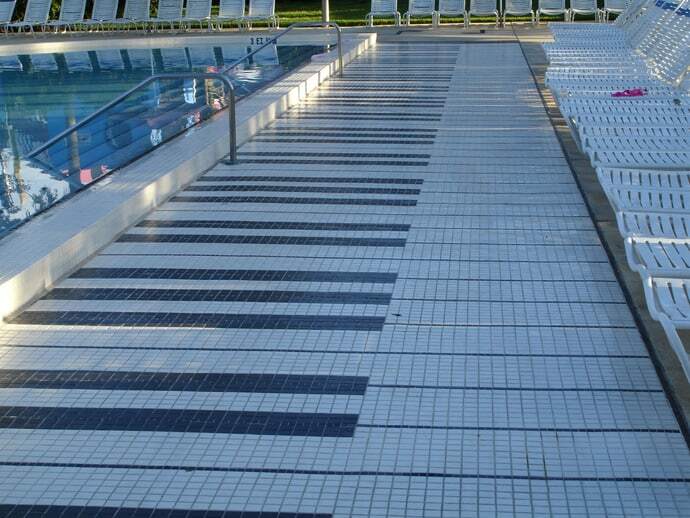 The blue water makes the vinyl-lined pool dance with each movement and create a blurred, dynamic effect.